Town in the province of Brescia, located on a hill near the provincial capital, strategically placed along the lines of communication for Mantua, Castenedolo (the name derives probably from the numerous chestnut trees that characterized the surrounding area) is located in an area inhabited since the Roman period. A possession of the bishops Bresciani until the XI century, it then became a town with its own council in the XIII century, and later it passed to Pandolfo Malatesta, and the Count of Carmagnola. Capodimonte is the most important and populous district of Castenedolo. Here the noble family of Longhena built their residence, remodeled in the XVIII century in a Neoclassical style, with a large park and frescoed rooms. The Parish Church of St. Bartholomew was built between 1803 and 1840 on a design by Donegani, to replace the previous building destroyed by the earthquake of 1799. The base has an elliptical shape and features one single nave and inside it preserves important works of art by Hayez, Moretto, Gandino, Straw, Jacopo Palma il Giovane, frescoes by Giuseppe Teos and the central altar by Vantini. 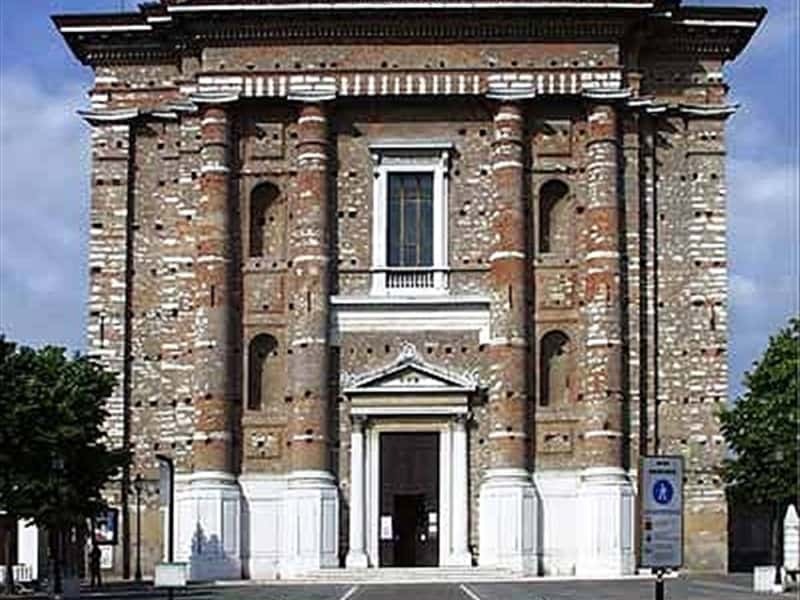 In front of the parish lies, what was once the Church of the Discipline of San Rocco and San Sebastiano, built in the XVI century, deconsecrated under Napoleon in 1797, it is currently used as a civic hall. Not to miss: the Palazzo Durante (today Palazzo Geroldi) and the Palazzo Belpietro (formerly Carmagnola). This town web page has been visited 17,809 times.